To a final score of 93-89, the Cleveland Cavaliers won the 2016 NBA Finals in Game 7 from the Golden State Warriors, The Cavs made history as the first team to win the series after a 3-1 series deficit. LeBron James was unanimously named MVP of the Finals for the third time, averaging 29.7 points, 11.3 rebounds and 8.9 assists with a field goal percentage of 53.3. According to espn.go and information from The Associated Press, James became only the third player to have a triple-double in a final series Game 7, joining Jerry West in 1969 and James Worthy in 1988. 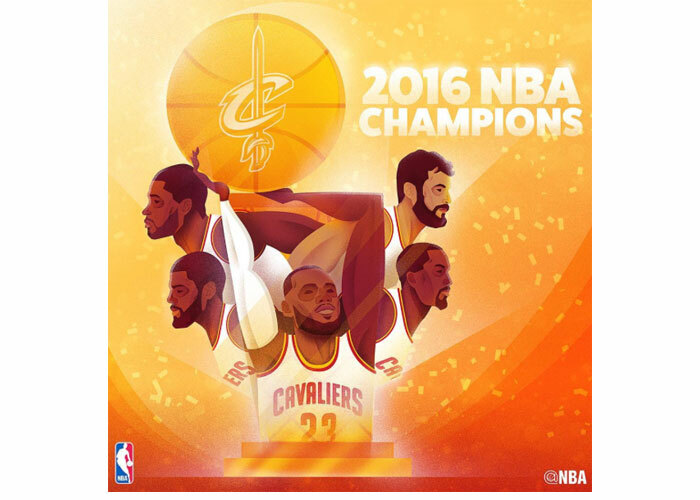 This ends Cleveland’s dry spell of 52 years since the championship came home to Ohio.